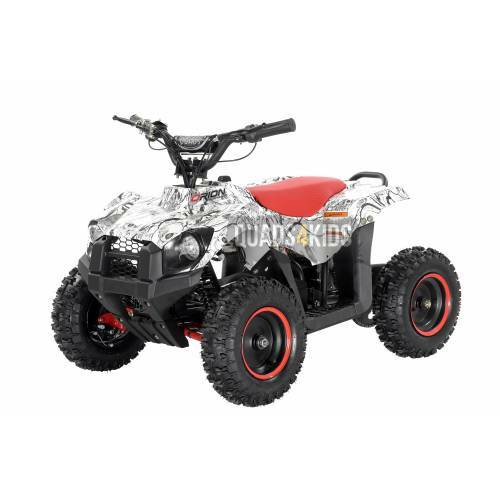 Important Information: This quad bike is supplied fully assembled, quality tested, battery charged and ready to ride. Please be wary of online shops selling 'kit form' machines for home assembly. The quads are not always easy (or safe) to be built at home. 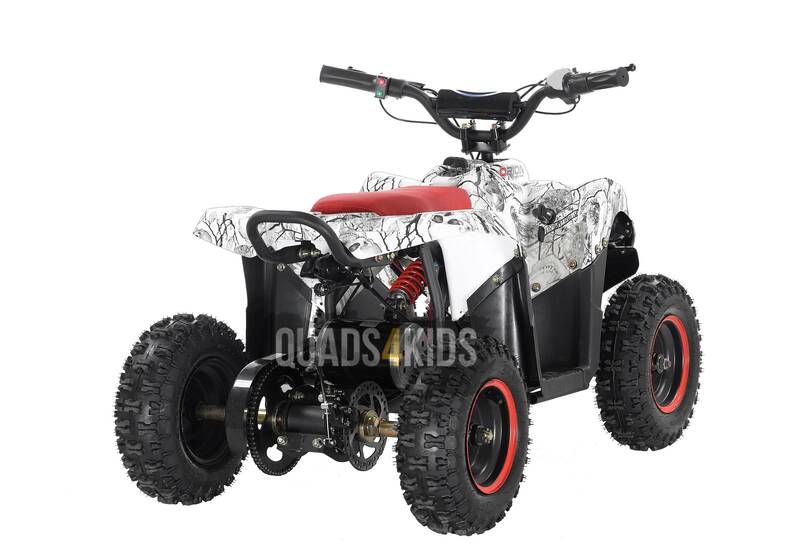 These little quads are the ideal starter quads for small children. The fully automatic quad features an easily adjustable speed limiter with a three settings of slow (5mph) medium (9mph) or fast (18mph) Once set, the speed 'limiter key' can be removed for safety. We consider the Orion ‘Kong’ electric quad to be the best looking machine and certainly the most unique electric quad on the market. This top of the range 1000w quad eats the lesser 500w – 800w machines for breakfast and it does it with style! 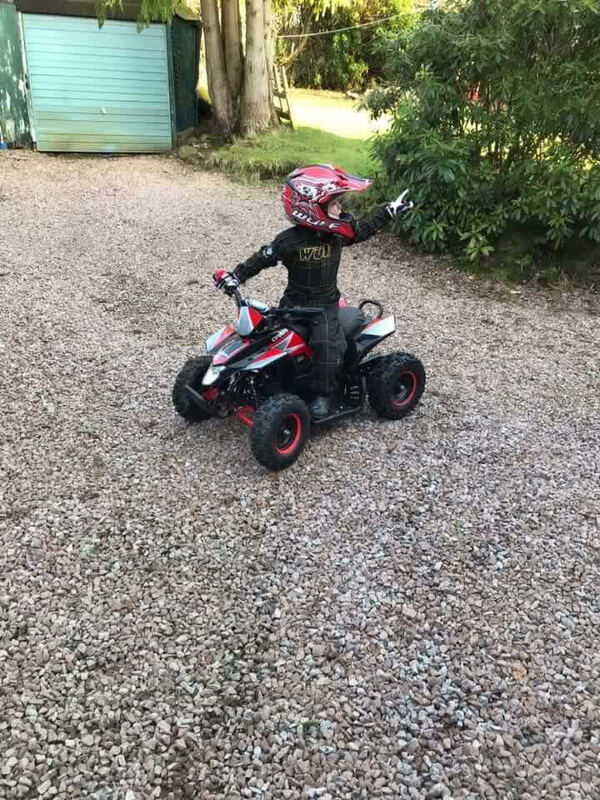 The great benefit of this quad is a fully automatic electric motor which is very easy for children to use and emits pretty much no noise - which should please the neighbours. Suitable for children in the region of 5 - 7 years old. The Orion ‘Kong’ quad has both front and rear suspension for better cornering and a more comfortable ride. The front brakes are operated by an easily accessible lever on the handlebar so there is no complicated foot brake to worry about. 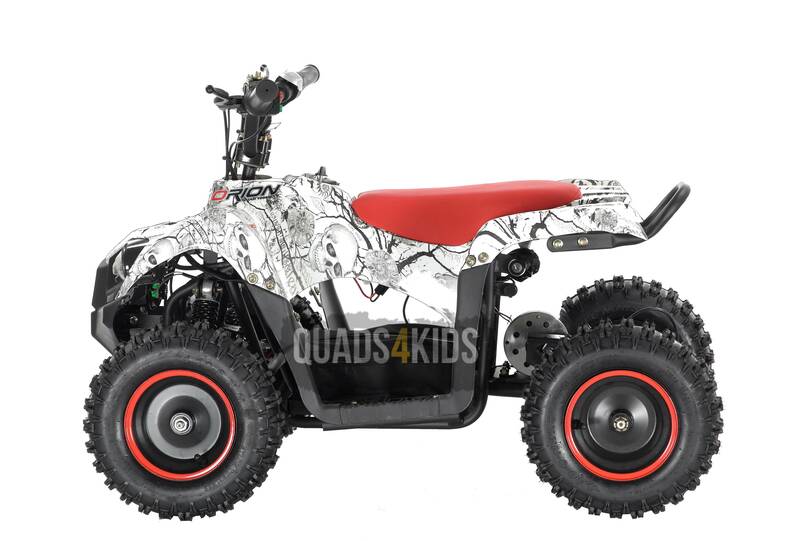 Please note that this ‘mini quad’ will require regular basic maintenance. Please ensure that this is considered before buying this product. As with all our products, we offer full after sales support and a full range of spare parts are available off the shelf, at all times. Terrain Type - Must only be ridden on concrete, tarmac or very light off-road dry terrain. 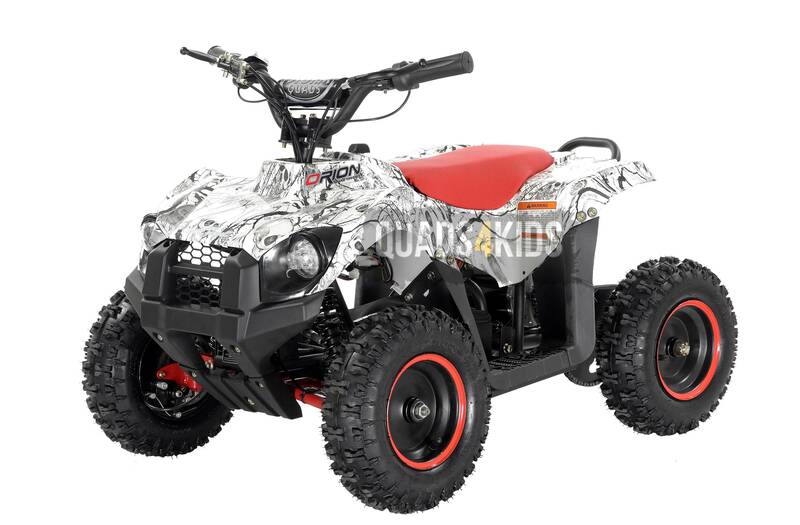 Electric quads must NOT be used in rainy, wet or muddy conditions. 3 month Return to Base Warranty - Please note this warranty covers manufacturer's defect and does not cover wear and tear, accidental damage, misuse, or failure of any part due to water ingress. 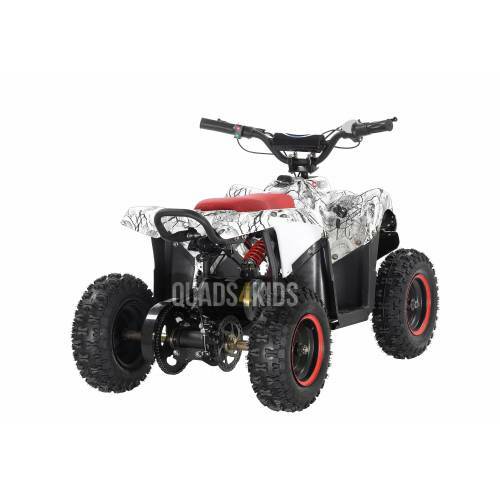 The quad has both front and rear suspension for better cornering and a more comfortable ride. The rear brake is operated by easily accessible lever on the handlebar so there is no complicated foot brake to worry about. 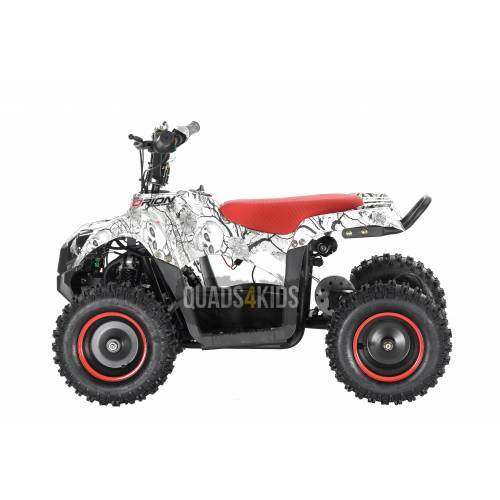 Click HERE for the 1000w electric quad spare parts.